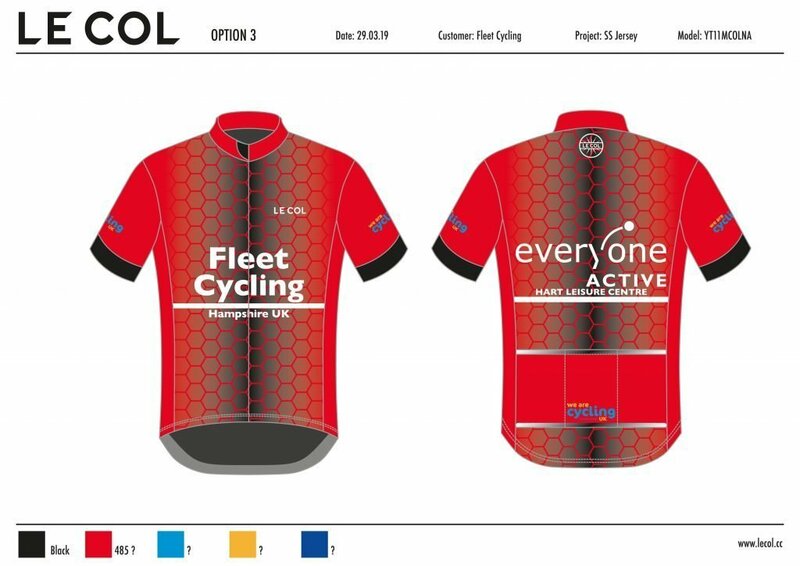 All kit includes the logo of our sponsor, Everyone Active (Hart Leisure Centre), whom we thank for their support and contributions. Jerseys also include the logo of Cycling UK, the new identity for CTC. All prices are subject to confirmation, but we will tell you the final price before you have to confirm any reservation you make. The prices below are for when we can place a minimum order of ten garments of one type and are correct at April 2019. Members ordering for our first order are given a one-off £20.00 discount on their overall order. This does not apply of stock purchases. NO CLOTHING WILL BE DELIVERED UNTIL CIRCA 16th JUNE 2019. Short Sleeve Jersey, full hidden zip, 3 rear curved pockets. Long Sleeve Jersey, full hidden zip, 3 rear curved pockets. Email Colin (if you need to speak to him call "to be added") with the items you are interested in. 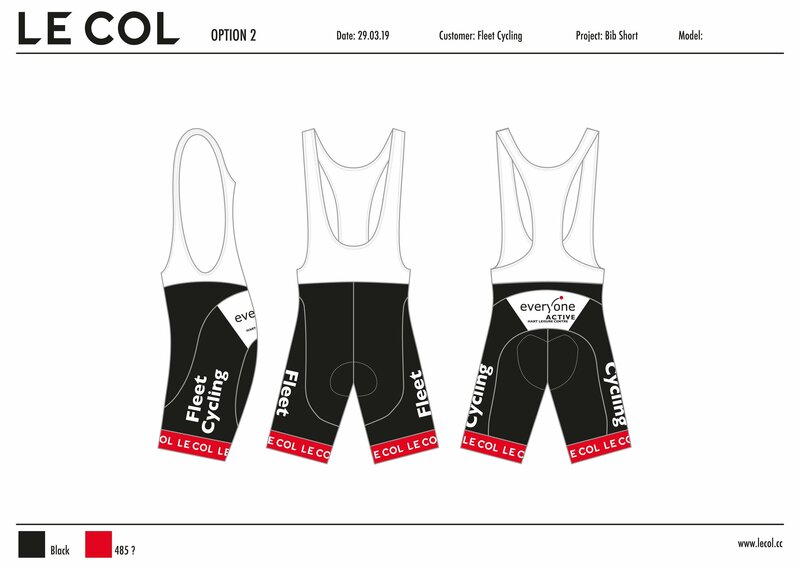 We obtain our kit from LeCol, where you can find more information on the specifications.